The Paris Court of Appeals handed a victory to animal rights organizations in June by removing bullfighting from France's esteemed cultural heritage list. "The abrogation of bullfighting from the list of France's cultural patrimony, obtained after four years of fierce judicial battle is a victory without precedence in the history of abolition in our country," said Jean-Pierre Garrigues, president of CRAC Europe, the leading French anti-bullfighting organization. "It's a major blow to animal torturers and this gives us the energy to pursue our goal: the definite and total abolition of bullfighting, this barbarian practice that is condemned by three-fourths of the French." Bullfighting is illegal in 90 percent of French territory and is only allowed under a special judicial exemption in a few dozen towns in southern France. The bullfighting industry, officially scratched from the list, is now left with no cultural excuse to continue its acts of cruelty against bulls and horses. "This news set off a huge wave of enthusiasm on social media," said Roger Lahana, vice president of CRAC Europe. "Aficionados won't be able to use that cultural status to commit grave acts of cruelty on animals anymore. We are ecstatic about this victory, which is a major step towards our objective: the abolition of bullfighting." In 2013, the immaterial patrimony status of bullfighting had been denounced by then French minister of culture, Frederic Mitterrand. "Bullfighting is not an innocent tradition," he said, "and I can only imagine all the closed-door dealings of elected officials to coerce a handful of functionaries to sign on." In a phone interview Mr. Lahana claimed that up until now, the lawmakers his organization were attempting to sway towards abolishing bullfighting would respond that it was impossible because of its classification in the list of French cultural heritage. The same argument was used systematically by lawyers who were attacking animal rights activists in the courts, he said. Bullfighting is subsidized by the French government. "For four years, the most powerful bullfighting enterprises in France have been hiding the fact that they've been financially in the red except for a subsidized tax break on the grounds of the cultural heritage status," said Roger Lahana. "This enabled them to profit illegally and from now on, they won't be able to get away with it." French law currently recognizes the sentient character of animals and the European Commission states "the European Union believes in the importance of animal welfare." As anti-bullfighting organizations celebrated their victory, French bullfighting enterprises and their aging fans hung tightly to their tradition in the last remaining "Corrida" towns of southern France. 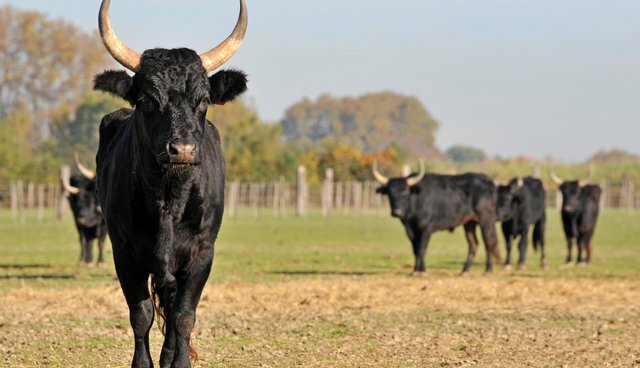 Days after the decision, 41 animal rights activists protested loudly in front of the arena in Captieux, near Bordeaux, while six bulls were tortured and stabbed to death. "We will never give up this fight," said young activist Audrey Anais, who was arrested and held for 12 hours in a tiny cell for protesting a bullfight in June. "We will continue to battle these barbarians for as long as it takes."